Our beloved Nickelodeon animated series called the Avatar: The Last Airbender is coming to Netflix as a live-action re-telling adaptation of the same series. For the series' fans, especially those who saw how bad the first and only live-action movie adaptation made by M. Night Shyamalan a few years back was, most likely either you are not excited about this news or you are kind of mixed on this. And that's pretty understandable, I myself was not very happy about the film version. But I guess, there are more reasons to get excited about this than to worry. First off, director M. Night Shyamalan is not going to be part of this project. 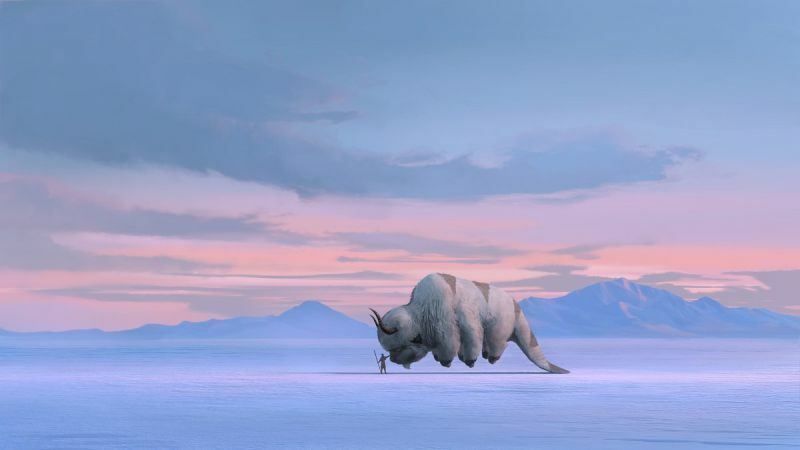 Second, the original animated series' creators Michael Dante DiMartino and Bryan Konietzko will oversee the development of this, third they promised it to have "non-whitewashed cast", and fourth is, it is under Netflix banner, which for the most part has been doing great at adapting very good source materials into their network. Below is DiMartino and Konietzko's official statement on the this announcement. "We're thrilled for the opportunity to helm this live-action adaptation of Avatar: The Last Airbender. We can't wait to realize Aang's world as cinematically as we always imagined it to be, and with a culturally appropriate, non-whitewashed cast. It's a once-in-a-lifetime chance to build upon everyone's great work on the original animated series and go even deeper into the characters, story, action, and world building. Netflix is wholly dedicated to manifesting our vision for this retelling, and we're incredibly grateful to be partnering with them." However, it is important to note that this project is currently at the very early stage. Which means we are not going to see the finished fims anytime soon, at least in the next one or two years. But it is definitely a great news for the fans, and for those who have been wanting this franchise to have a much deserved live action adaptation treatment.